Go find Luke and Han! 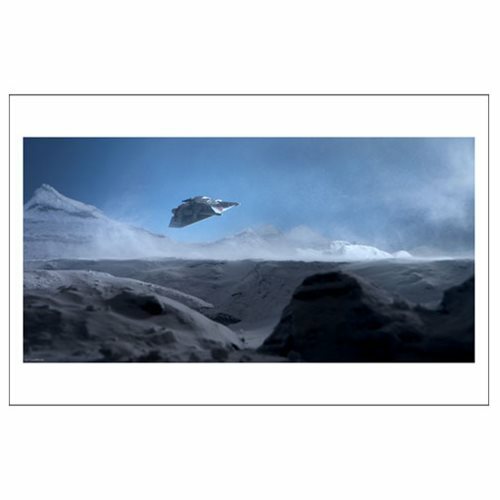 This Star Wars En Route by Stephen Hayford Paper Giclee Print features a stunning image of a Snow Speeder flying across the plains of Hoth in search of the possibly frozen-to-death Han Solo and Luke Skywalker. A limited edition of 50 hand-numbered pieces and measuring 17-inches wide x 11-inches tall looks amazing and comes complete with certificate of authenticity.